"The Haters are coming to destroy all life on Earth. It is not a question of if, but when. Ashok Banker is the internationally acclaimed author of over sixty published books which have sold over three million copies in twenty-one languages and sixty-one countries. He has been credited as the pioneer of Indian crime fiction in English and with launching the genre of mythological retellings, India’s biggest-selling publishing category. As a journalist, he broke front-page news for Times of India, Outlook and The Week. As a screenwriter, he created and wrote India’s first TV series in English, A Mouthful of Sky. Ashok is of Irish-Portuguese-Sri Lankan-Indian parentage and lived in India for over fifty-one years before migrating permanently to the United States. Awaken is the first book in the Shakti Trilogy. For every brown girl told she’s too different, too this or too that. You are perfect. You are awesome. You are loved. Show them what you can do but don’t give a damn what they think. Told from the different POVs of the three lead characters, Sia, Saumya and Kiara this story takes us to New York, Delhi, and Ahmedabad making us a part of their thrilling journey. Set in contemporary India, the plot manages to retain the fantasy element very nicely till the end. Though this book has been tagged in the fantasy genre it addresses much more than the issues in those times. So you have Saumya who is an unwanted girl child as her parents always wanted a son. Kiara who was yet to come terms with her mother’s death three years ago and then, there is Sia who is an aspiring singer. As their characters develop and you get to know their story along with their families’ background you realize how each one of them feels like a girl next door. Someone you could know or better still, you! Everything looks normal and connectable till they find out their superpowers. With detailed descriptions of not only the places but also the people, the author ensures that the reader is engrossed. From the first page to the last, the amount of curiosity built through mere wordplay steadily keeps increasing. I liked the way the thrill element has been kept intact and at the same time not overplayed in the book. Sometimes in trying to retain the thrill and suspense authors tend to overdo making it seem too much into the face and that ends up being a bad turn off. Here in this case, the author has managed to retain that fine balance between thrill and engaging narrative. As the first book in the Shakti Trilogy this book does an excellent job at piquing a reader’s interest by introducing us to the characters in a very innovative manner. It is in a way announcing that the stage is set and now the readers need to wait for part two for more action. The most interesting part is the way the characters are well-etched. They make the story telling more interesting. 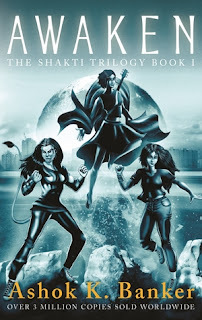 With a captivating premise and lovely characters, Ashok Banker has managed to create a believable world of three women who have recently discovered their superpowers. After a real long time I was reading about women with superpowers based in India and that too with characters who seemed so real. The story emphasizes that no one is perfect. These girls have superpowers and yet have lives which can be considered flawed in many ways. This story makes me believe that despite all the flaws, our strengths are what define us. How our story started wasn’t in our control but how it will end definitely is. This story is about striving to change the ending, or at least attempt to change the ending irrespective of the output. Strongly recommended, for all fantasy lovers! 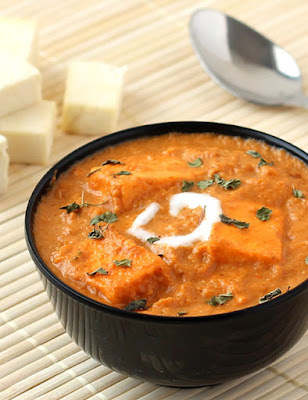 This book is like Shahi Paneer - Royal in taste and flavours that escalate in your mouth! Glad to visit your space after long and will put Awaken in my TBR. I am yet to read Ashok Banker's books and guess next visit to library, I will check his works. Oh yes, I like the way he has used mythology so extensively in his works and yet managed to bring out something new in them every single time.